But, we got TWO short sales approved last week! They should both be closing this month. The top one at right had been under contract last year and failed during the short sale process, but this time it made it. The asking price is $599,000, and we'll let you know the selling price once it closes. It is on the East End, has a great gulf view, and a little slice of a bay view as well, pool, on one acre. Beautiful home, almost new. The second one at right was listed for $845,000, and the bank was working closely with the seller to close this one out at a better price. It is bay front, with a community pool and dock. Both sets of buyers are very pleased with their contracts, and are looking forward to a successful and speedy closing from here out. 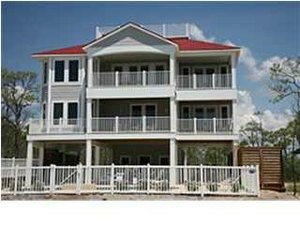 We are just thrilled to have two short sales approved by their respective banks, so that we can move these nice homes on to new owners who will enjoy them this summer. 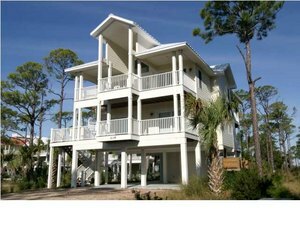 Let me know if you have questions about buying property on St. George Island. Short sales or not, we can make it happen for you....!